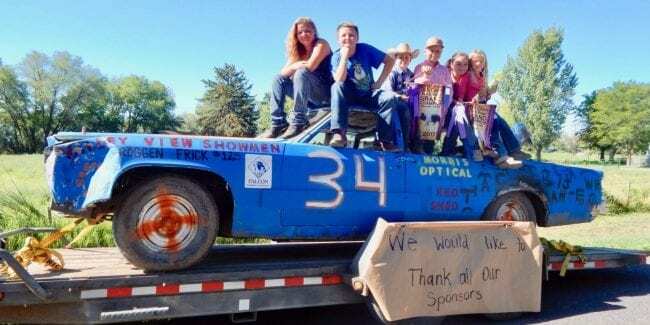 [Valley View Showmen Demolition Derby Car. Photo: townofhotchkiss.com] If you want to experience a kind of festival that has a “touch of country” then you better head out to the Delta County Fair in Hotchkiss. It first stated in September of 1897 in Delta until 1913 when it changed its location to another Delta County town. The fair aims to showcase everything country, from rodeos, livestock shows, endurocross, and musical concerts. The long-running festival will be celebrating their 114th year with a lot of things to offer to those who want to join in the celebration. The Delta County Fair will be happening on August 3rd to 11th, 2019 at the 403 Fairgrounds in Hotchkiss. Aside from the live entertainment, expect plenty of other attractions that will make you feel the real country vibe. List of activities include junior rodeos, tractor pulls, motocross, parades, livestock sale, derby, adult rodeos, and great chili cook off. The Delta County Fair is one of the largest community events held in the county every year, so be sure not to miss out on all of the fun.